You want to see a blob fish. Everyone wants to see a blob fish. That’s what drives a significant number of you to Trestles Surf Crowd. You want to see a blob fish. Well, we aim to please. 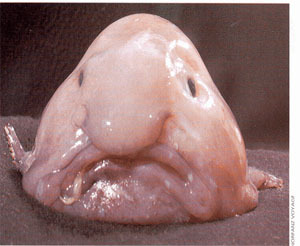 So, meet Mr. Blobfish. Here he is in a not-so-famous, but killerly funny feature. And if that wasn’t enough, there’s plenty more on YouTube. Start here and just search for “blobfish” or “blob fish” when you get there.